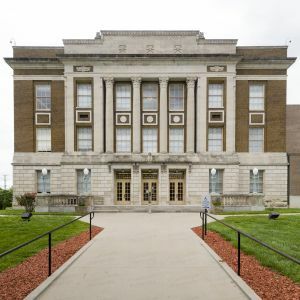 Photos of the Bourbon County Courthouse in Fort Scott, Kansas. The Fort Scott courthouse was designed by Cuthbert And Suehrk. The Bourbon County Courthouse, a Classical Revival structure, was built in 1929. All photos in this collection © Capitolshots Photography/TwoFiftyFour Photos, LLC, ALL RIGHTS RESERVED. Please contact Capitolshots Photography at info@capitolshots.com if interested in licensing any of the images in this collection. Photos of the Butler County Courthouse in El Dorado, Kansas. Designed by George P. Washburn And Sons, the El Dorado courthouse was completed in 1909. The brick Butler County Courthouse, a Romanesque Revival structure, is listed on the National Register of Historic Places. All photos in this collection © Capitolshots Photography/TwoFiftyFour Photos, LLC, ALL RIGHTS RESERVED. Please contact Capitolshots Photography at info@capitolshots.com if interested in licensing any of the images in this collection. 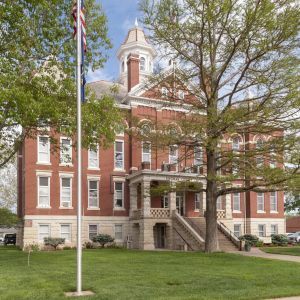 Photos of the Cherokee County Courthouse in Columbus, Kansas. The Columbus courthouse was designed by Glover And Newcomb. The Cherokee County Courthouse was built in 1956. All photos in this collection © Capitolshots Photography/TwoFiftyFour Photos, LLC, ALL RIGHTS RESERVED. Please contact Capitolshots Photography at info@capitolshots.com if interested in licensing any of the images in this collection. Photos of the Crawford County Courthouse in Girard, Kansas. Designed by Tonini And Bramblet, the Girard courthouse was built in 1921 and restored in 1992. The Crawford County Courthouse, a Classical Revival structure, is listed on the National Register of Historic Places. All photos in this collection © Capitolshots Photography/TwoFiftyFour Photos, LLC, ALL RIGHTS RESERVED. Please contact Capitolshots Photography at info@capitolshots.com if interested in licensing any of the images in this collection. Photos of the Harper County Courthouse in Anthony, Kansas. 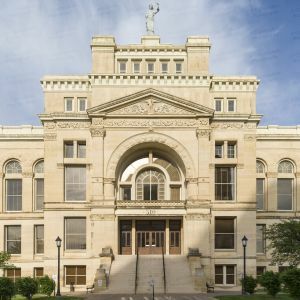 Designed by George P. Washburn And Sons, the Anthony courthouse was built in 1908. The brick Harper County Courthouse, a Romanesque Revival structure, is listed on the National Register of Historic Places. All photos in this collection © Capitolshots Photography/TwoFiftyFour Photos, LLC, ALL RIGHTS RESERVED. Please contact Capitolshots Photography at info@capitolshots.com if interested in licensing any of the images in this collection. Photos of the Kingman County Courthouse in Kingman, Kansas. Designed by George P. Washburn And Sons, the Kingman courthouse was built in 1908. The brick Kingman County Courthouse, which incorporates a mix of architectural styles, is listed on the National Register of Historic Places. All photos in this collection © Capitolshots Photography/TwoFiftyFour Photos, LLC, ALL RIGHTS RESERVED. Please contact Capitolshots Photography at info@capitolshots.com if interested in licensing any of the images in this collection. 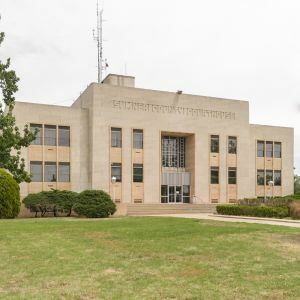 Photos of the Linn County Courthouse in Mound City, Kansas. 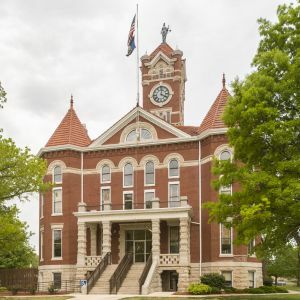 Designed by George Ropes, the Mound City courthouse was built in 1886. The brick Linn County Courthouse, a Romanesque Revival structure, is listed on the National Register of Historic Places. All photos in this collection © Capitolshots Photography/TwoFiftyFour Photos, LLC, ALL RIGHTS RESERVED. Please contact Capitolshots Photography at info@capitolshots.com if interested in licensing any of the images in this collection. Photos of the Montgomery County Courthouse in Independence, Kansas. The Independence courthouse was designed by Edward Oscar Fallis. The Montgomery County Courthouse was built in 1931. All photos in this collection © Capitolshots Photography/TwoFiftyFour Photos, LLC, ALL RIGHTS RESERVED. Please contact Capitolshots Photography at info@capitolshots.com if interested in licensing any of the images in this collection. 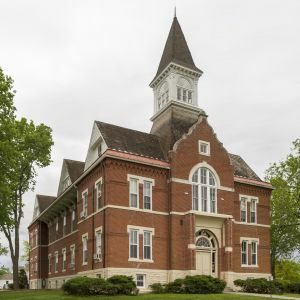 Photos of the Osage County Courthouse in Lyndon, Kansas. Designed by W.E. Hulse And Co., the Lyndon courthouse was dedicated in 1923. 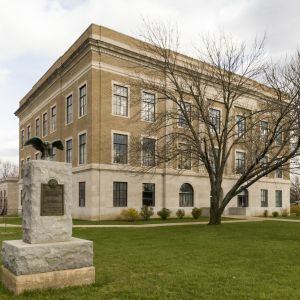 The Osage County Courthouse, a Classical Revival structure, is listed on the National Register of Historic Places. All photos in this collection © Capitolshots Photography, ALL RIGHTS RESERVED. Please contact Capitolshots Photography at 202.709.7273 or at info@capitolshots.com if interested in licensing any of the images in this collection. 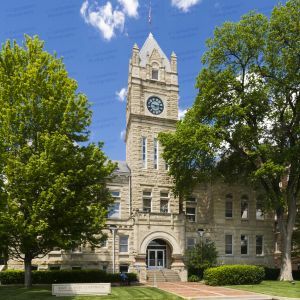 Photos of the Riley County Courthouse in Manhattan, Kansas. Designed by J.C. Holland And Co., the Manhattan courthouse was built in 1906. The Riley County Courthouse, a Romanesque Revival structure, is listed on the National Register of Historic Places. All photos in this collection © Capitolshots Photography/TwoFiftyFour Photos, LLC, ALL RIGHTS RESERVED. Please contact Capitolshots Photography at info@capitolshots.com if interested in licensing any of the images in this collection. Photos of the Old Sedgwick County Courthouse in Wichita, Kansas. Designed by W.R. McPherson, the Wichita courthouse was built in 1889 and is across the street from the current county courthouse. 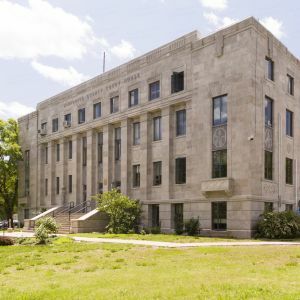 The stone Old Sedgwick County Courthouse, a Renaissance Revival structure currently hosting county offices, is listed on the National Register of Historic Places. All photos in this collection © Capitolshots Photography/TwoFiftyFour Photos, LLC, ALL RIGHTS RESERVED. Please contact Capitolshots Photography at info@capitolshots.com if interested in licensing any of the images in this collection. 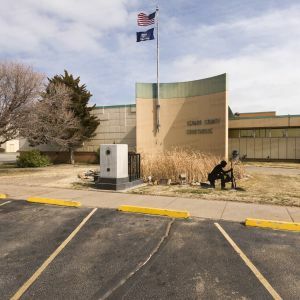 Photos of the Seward County Courthouse in Liberal, Kansas. The Liberal courthouse was designed by W.I. Fisher And Company. The Seward County Courthouse was built in 1959. All photos in this collection © Capitolshots Photography/TwoFiftyFour Photos, LLC, ALL RIGHTS RESERVED. Please contact Capitolshots Photography at info@capitolshots.com if interested in licensing any of the images in this collection. Photos of the Shawnee County Courthouse in Topeka, Kansas. The Topeka courthouse was designed by Raymond A. Coolidge. 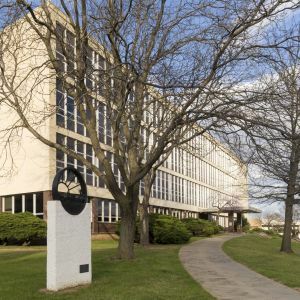 The Shawnee County Courthouse was built in 1963. All photos in this collection © Capitolshots Photography/TwoFiftyFour Photos, LLC, ALL RIGHTS RESERVED. Please contact Capitolshots Photography at info@capitolshots.com if interested in licensing any of the images in this collection. Photos of the Sumner County Courthouse in Wellington, Kansas. Designed by Thomas W. Williamson and Victor H. Loebsack And Associates, the Wellington courthouse was built in 1952. The limestone Sumner County Courthouse, an Art Deco structure, is part of the Downtown Wellington Historic District, which is listed on the National Register of Historic Places. All photos in this collection © Capitolshots Photography/TwoFiftyFour Photos, LLC, ALL RIGHTS RESERVED. Please contact Capitolshots Photography at info@capitolshots.com if interested in licensing any of the images in this collection. Photos of the Wabaunsee County Courthouse in Alma, Kansas. Designed by W.E. Glover, the Alma courthouse was built in 1932. 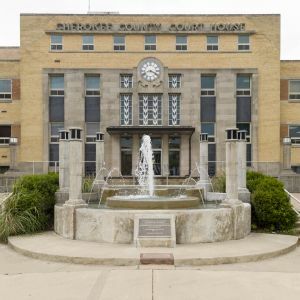 The Wabaunsee County Courthouse, an Art Deco structure, is listed on the National Register of Historic Places. All photos in this collection © Capitolshots Photography/TwoFiftyFour Photos, LLC, ALL RIGHTS RESERVED. Please contact Capitolshots Photography at info@capitolshots.com if interested in licensing any of the images in this collection. Photos of the Wilson County Courthouse in Fredonia, Kansas. 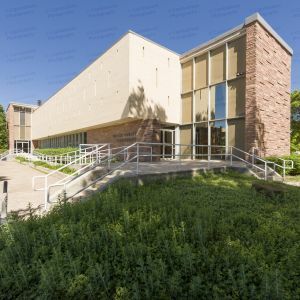 The Fredonia courthouse was designed by Kene And Bradley Architects. The Wilson County Courthouse was built in 1961. All photos in this collection © Capitolshots Photography/TwoFiftyFour Photos, LLC, ALL RIGHTS RESERVED. Please contact Capitolshots Photography at info@capitolshots.com if interested in licensing any of the images in this collection. Photos of the Woodson County Courthouse in Yates Center, Kansas. Designed by George P. Washburn, the Yates Center courthouse was completed in 1900. The brick Woodson County Courthouse, a Romanesque Revival structure, is listed on the National Register of Historic Places. All photos in this collection © Capitolshots Photography/TwoFiftyFour Photos, LLC, ALL RIGHTS RESERVED. Please contact Capitolshots Photography at info@capitolshots.com if interested in licensing any of the images in this collection. Photos of the Wyandotte County Courthouse in Kansas City, Kansas. Designed by Wight And Wight, the Kansas City courthouse was built in 1927. 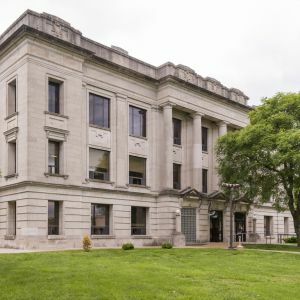 The Wyandotte County Courthouse, a Classical Revival structure, is listed on the National Register of Historic Places. All photos in this collection © Capitolshots Photography/TwoFiftyFour Photos, LLC, ALL RIGHTS RESERVED. Please contact Capitolshots Photography at info@capitolshots.com if interested in licensing any of the images in this collection. 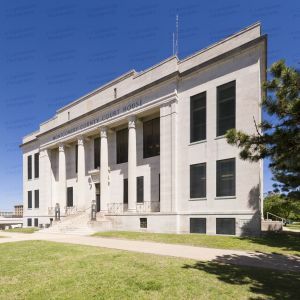 Royalty-free licenses are available for all of Capitolshots Photography’s photos of Kansas courthouses (without the watermarks, of course). You may email us if you are interested in licensing any image, which are available at several sizes, from 72-dpi web-quality JPGs all the way up to TIF files. You may also visit our ordering page for additional information. 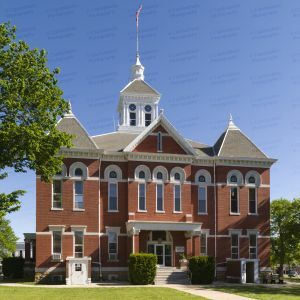 Looking for prints of Kansas county courthouses? Our images work great for decorative art, presentations, office decor and gifts. All sizes available (without the watermarks). You may email us if you are interested in purchasing a print. You may also visit our ordering page for additional information. 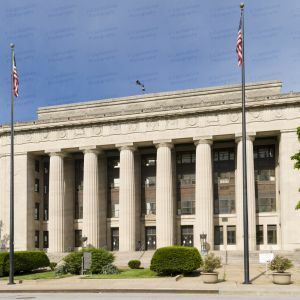 Click on any of the galleries of Kansas courthouses above to view the images for each courthouse. The file name, which you will need to place your order, will be at the beginning of the caption underneath each image after enlargement.